Welcome to week four of our Centennial Concert Season, our early Fourth of July Musical Celebration! Our Concert Sponsor for the evening is Fastenal and our Arts Partner is the Frozen River Film Festival. Fastenal is North America’s largest fastener distributor and a one-stop source for supplies used to manufacture products, maintain facilities, and build structures. In the industrial world, when businesses need products, they typically need them right away. That’s why we support our customers at 2,700 local stores worldwide, each offering immediately-available inventory, dedicated service teams, and efficient inventory management solutions – all backed by our world-class sourcing, engineering, and distribution resources. The scope of our current operations would have been beyond anyone’s wildest dreams when Bob Kierlin, Steve Slaggie, Van McConnon, Jack Remick and Mike Gostomski started the company 48 years ago. Back then the plan was to dispense fasteners out of franchised vending machines, but they soon discovered there was little demand for fastener sizes and quantities that could be vended. So, the vending concept was tabled, and Fastenal’s store-based service model was born. If it’s hard to imagine Winona without Fastenal, it’s even harder to imagine Fastenal without Winona. After all, Winonans largely founded and built the business, and people raised and educated locally continue to play key leadership roles, both in town (where we employ more than 1,600 people) and at locations around the world. In short, Fastenal’s success is a reflection of our community’s work ethic, values and commitment to education; and as we continue to expand on a global scale, we’ll always be proud to call Winona home. Learn more at fastenal.com. The Frozen River Film Festival identifies and offers programs that engage, educate and activate viewers to become involved in the world. These programs provide a unique perspective on environmental issues, sustainable communities and extreme sports. 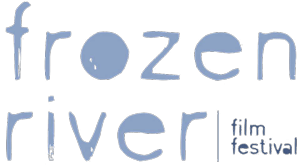 The 2016 Frozen River Film Festival dates are February 24-28. 30 seconds in Winona – Friday, August 28 at 7:00pm at the Lake Park Bandshell (rain venue Masonic Theater). A free mini film festival consisting of 30 second films made by the community and at large. Go to frff.org to learn how to submit your film. $500 in cash awards to winning films! Submission deadline is July 31.